Storrs, CT, is dying for spring. Girls are wearing sandals every chance they get and guys are sporting shorts, declaring it’s not too chilly to bear some leg. In hopes of flowers and a few rays of sun, I brought spring into my kitchen last night with my favorite fruit: the strawberry. Inspired by a blog post I read by Connecticut food writer, Leeanne Griffin, I went with a spring salad. My dish was a bit different: it features another favorite in this apartment, tortellini. The combination of the two ingredients may sound a bit unconventional, but trust me, they work really well together, and it’s a versatile dish. We had it for dinner last night, but it’s great for lunch too. The best part about it is the honey poppy seed dressing, a recipe I made up using a bunch of different ingredients, and you can store for later use on a regular green salad or over fruit. This recipe is really quick and easy once you get all the ingredients together. Hello, spring! If you have some lying around, or want to spend the cash, add some sliced almonds to the list. I left them out this time, but they do add a nice touch. If you don’t have all these ingredients, and don’t want to spend the money or time making the dressing (if you get the chance to sometime, TRY IT! ), then all you have to do is eliminate everything except the oil (use olive oil instead though), and the sugar and poppy seeds. Don’t worry, poppy seeds aren’t too expensive if you buy them in a little can on sale. I think I spent about $1 at Big Y on a tiny little can. Prepare the tortellini as directed on the package. Keep an eye on them, they usually cook pretty fast. 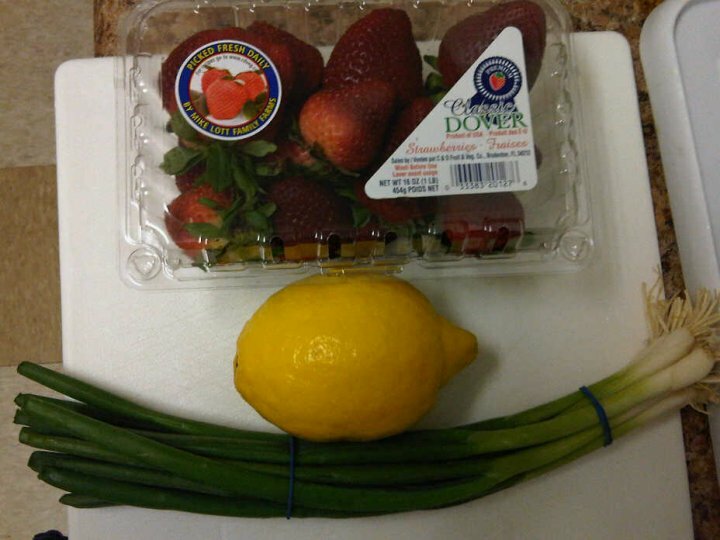 While those are cooking, take the time to chop the strawberries and scallions. Remember to cut both ingredients into small pieces. Prepare the poppy seed dressing. 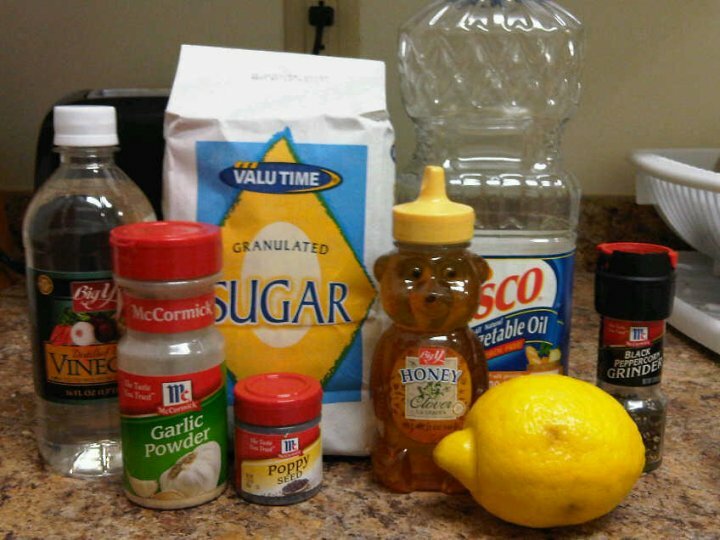 Add all the ingredients listed above together and stir throughly with a fork or whisk (make sure that honey thins out). Stick the dressing in the fridge until everything else is ready. 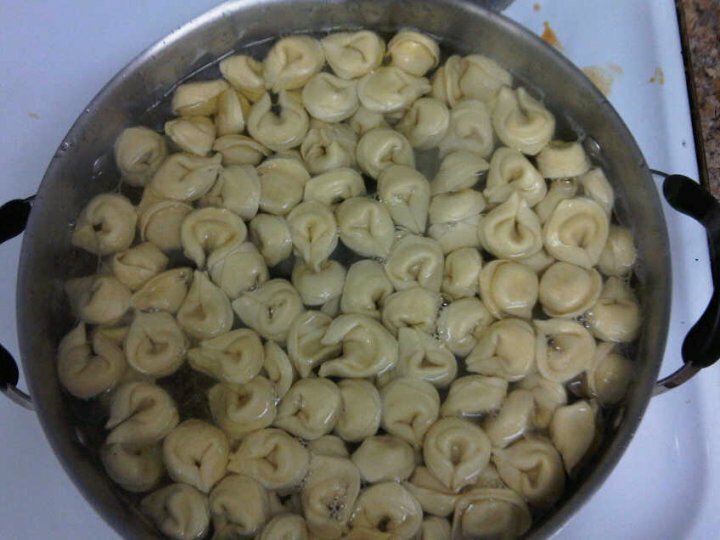 Once the tortellini are done, strain them and put them into another bowl. Make sure not to use a spoon with claws or tongs of any sort when moving them, they’re fragile. 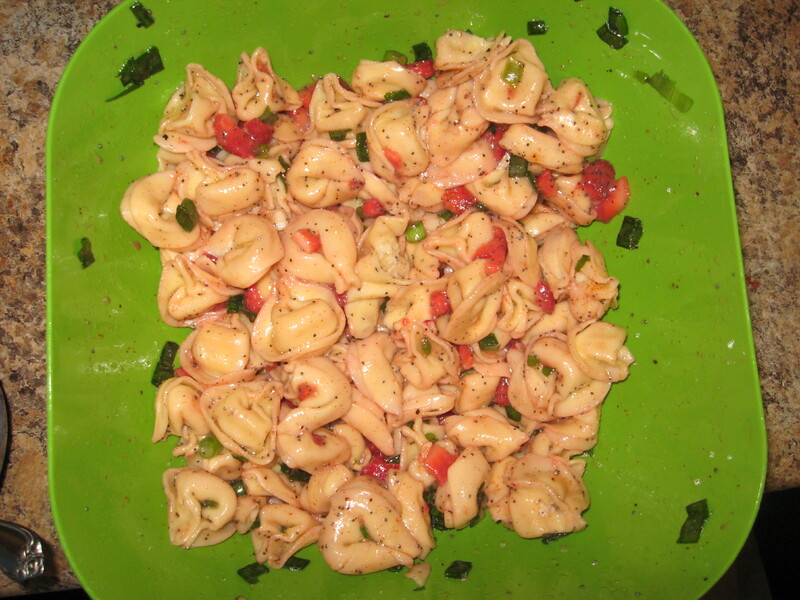 Put the bowl of tortellini into the fridge for a while and let them cool (this salad is best served cold). 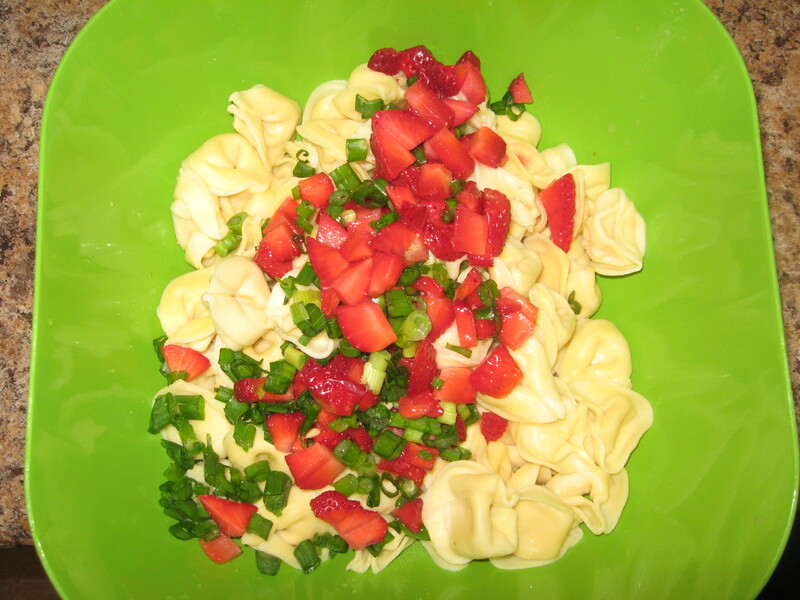 Once you’ve waited for the tortellini to cool completely, toss in the strawberries and scallions (and almonds) and squeeze the fresh lemon over the bowl. Then drizzle the dressing over the salad and mix everything together, but do NOT over mix. This is one thing I learned the hard way. The strawberries easily get spread out and mushy, and the pasta turns completely pink instead of maintaining that nice white contrast. 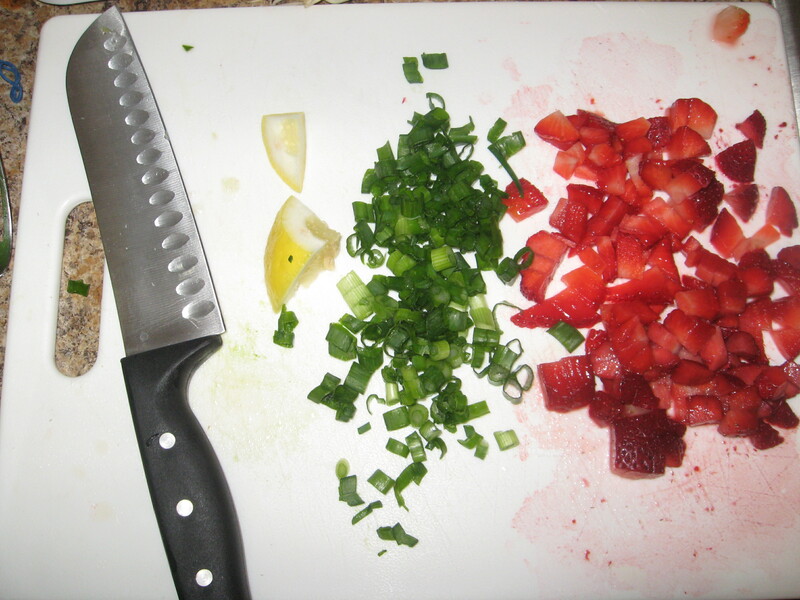 If it helps, stir everything together and then put the strawberries in and stir a little bit more. And that’s all you need to do for your spring-time salad fix! Remember to use the dressing over regular greens for a tasty side dish if you have leftovers. This salad would also work well served with grilled chicken (are you getting the barbecue by the lake image too?). Poppy seed problem? I know I haven’t used poppy seeds in any of my previous recipes, so here’s a tip on what to do with those leftover seeds: lemon poppy seed muffins! A delicious quick fix! All you have to do is buy a box of lemon cake mix, add 2 tbsp. of poppy seeds and bake the cake as directed in muffin tins. A perfect breakfast solution for the rest of the spring semester! 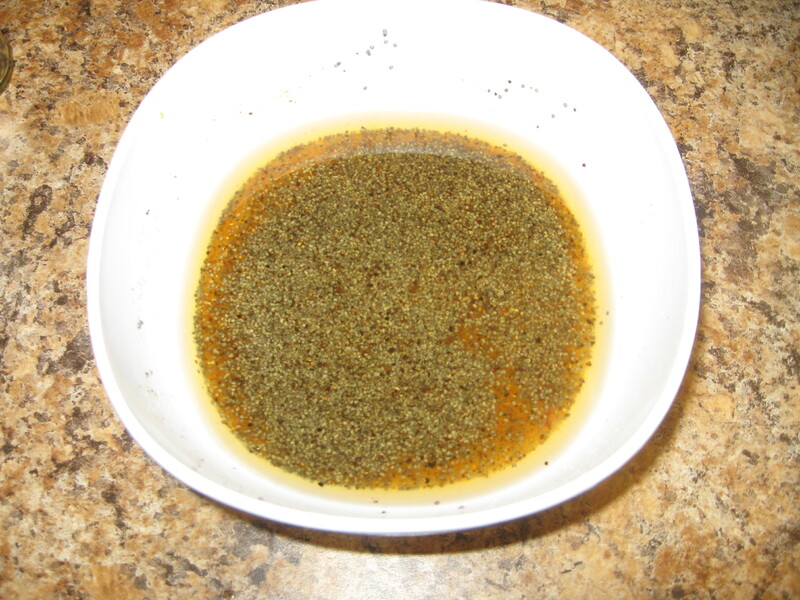 For different twists on the poppy seed dressing recipe, browse through CDKitchen.com’s collection, there are a TON!